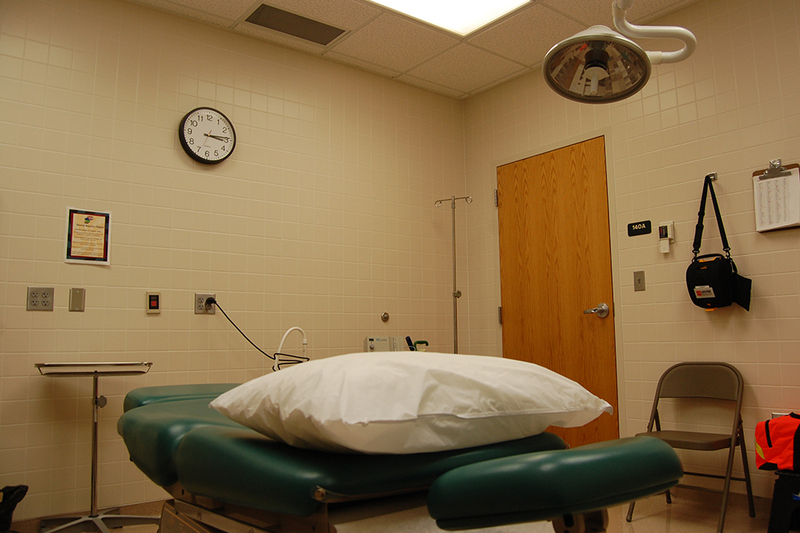 The procedure room is one of the good qualities the Student Health Service offers. While students have begun to notice the changes in how they pay for services provided through the North Dakota State Student Health Service, not much has changed, and yet it seems like everything has. The biggest change made at Student Health Service is they now file insurance claims for students, a process that students originally had to do themselves. This change came after the Student Health Service received a high volume of requests by students and parents of students expressing frustration with having to file a claim independent of the health services, according to Patricia Dirk, director of Student Health Service. The Student Health Service sees about 50-100 people daily, and as of this semester, those people will pay for their visit depending on what services they receive. Students can still walk into the clinic anytime, but every procedure that’s done now comes with a price tag that used to go to the student’s account, but now the claim is filed for the student to their insurance company. Some of the most expensive procedures include X-rays and some lab tests, and a contributor to this is the constantly rising cost of health care, according to Dirk. “We’re constantly looking at anyway we can reduce cost,” Dirk said. The $50 student fee that every student pays along with their tuition goes largely to overhead fees like upkeep of the clinic and employee salaries, which leaves students and their insurance to pay for their procedures. For everything that students receive, the prices at the Student Health Service remain competitive: it’s the second lowest of public institutions in the region, and the only one with lower rates is St. Cloud State. Students can expect certified medical equipment, certified staff and a quality stop for services to be provided. These spaces include a biological lab, a lab to find test results, mental health services, a procedure room and a therapeutic bath area among other things. With all this going for the Student Health Service, “It seems every 3-5 years there will be a student fee increase, though we would decrease the fees if we could,” Dirk said. Another thing the Student Health Service gets their claim to fame for is their patient centric focus, as opposed to a productivity model. This means that if students come in for one problem, but along the way doctors discover a different problem, they don’t send them home — they deal with it then and there. For students who have questions about the billing process, they can find information about billing, insurance and the student emergency fund on the Student Health Service website. “This is a campus of caring, reaching out,” Dirk said.